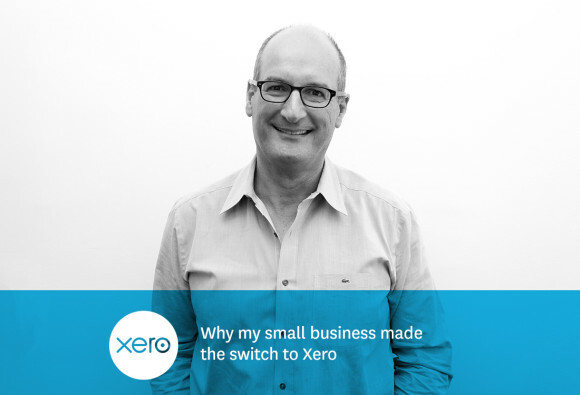 The post Why my small business switched to Xero appeared first on Xero Blog. From guest author David Koch a small business and finance expert, and co-host of Australian TV show Sunrise. I'm not a huge fan of the Super Bowl, but I love seeing the ads. They're always the highlight of the whole event for a lot of people. This year there was a great ad by BMW that showed a clip of two TODAY show hosts from 1994 who were reading an email address out loud. It was obviously the first time they'd done so. They didn't know how to pronounce an '@'. This led to the perplexed duo questioning "what is internet anyway?" Today's rapid outpouring of technology and innovation often leaves business owners wondering "what is this?" and "do I really need it?" In a lot of cases, perhaps not. Small businesses have enough on their plate without trying to educate themselves on every single new 'life-changing' product or service. But when it comes to online accounting, it truly is a revelation. And in the world of online accounting, Xero is at the leading edge. I've been a small business owner for over 25 years now and have employed teams from five people right up to 70. Bookkeeping used to mean shelves and shelves of folders and actual books. There were days on end spent reconciling accounts, and using a ruler to scroll down pages of transactions (yes, I'm old). At the time, it was just something we had to do. But now, with the beauty of hindsight, it was a nightmare. After a lot of research into the market, my family business, Pinstripe Media, made the switch to Xero last year. This was because we'd heard so much hype from other business owners, and our accountants, about how easy and how enjoyable it was. I was sceptical at first. How on earth could anyone make small business accounting and bookkeeping enjoyable? Fortunately, I was convinced to give it a go. Nine months later, and I can tell you without any embarrassment that I love logging on and checking the accounts. I'm a control freak, and Xero's platform really is impressive. Everything is simple, intuitive, and easy to navigate. In just a few clicks, I can see how much money is owed to us compared to what we owe. I can get a P&L for any specified time period – and even just for individual jobs – to compare against other jobs. I can see bank and credit card balances, and reconcile it all straight away. Our bank feeds come straight into the dashboard. I love the dashboard. The best part about it is that I can do it all while sitting on the balcony at home. Because these days I'm trying to spend as little time in the office as possible. (That's why you have kids, to take over the family business isn't it?). With the footy season coming up and, a lot of trips to Adelaide and Melbourne, I can keep checking up on things from the road whenever I like. And that's the real beauty of Xero – it gives me not just peace of mind, but the freedom to have peace of mind from anywhere at any time. So if you're still wondering what all the fuss is about, then give it a go and see for yourself how much it changes your life as a business owner. Because in a few years it won't be "what is internet" jokes playing on Super Bowl ads, it'll be "what is online accounting?" And when that day comes, you can sit back and be proud that you knew all about it. And you may even have your Xero dashboard open next to you. As a side note, in case the sceptics are wondering, I did pay for my Xero accounting package. We made our decision to switch without contacting them.